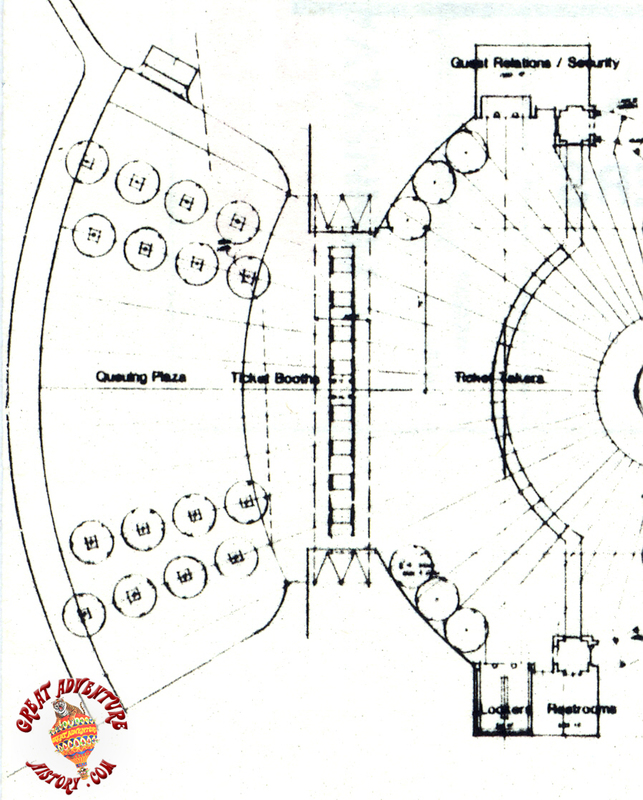 In order to help bring in more revenue with shopping and dining as well as to help convince the public of the renewed commitment to safety and security, plans for a makeover of the park entrance were drawn up. 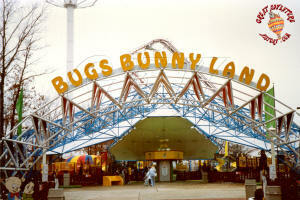 Plans included enhanced safety measures throughout the park and a possible name change as well as drastic physical changes that were planned. 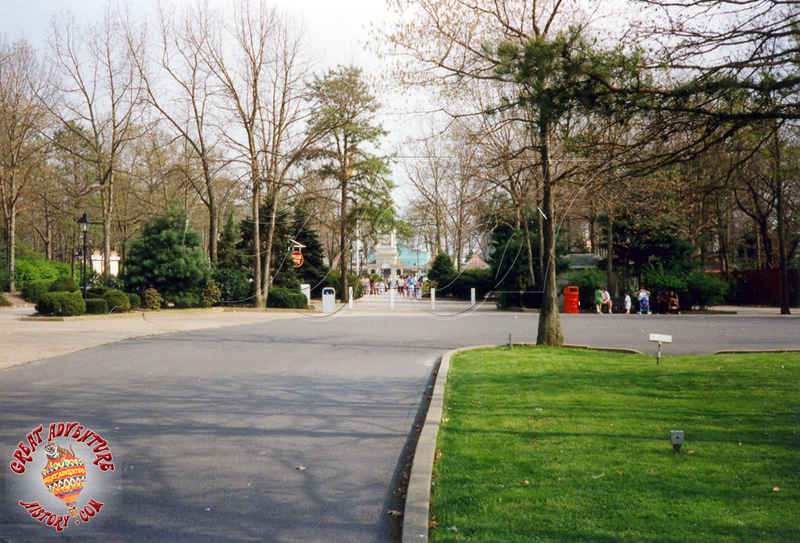 In 1976 the park's entrance was moved from the original end of Dream Street to its current location. The new entrance plaza was patriotically themed to celebrate America's Bicentennial and remained largely unchanged for more than 10 years. 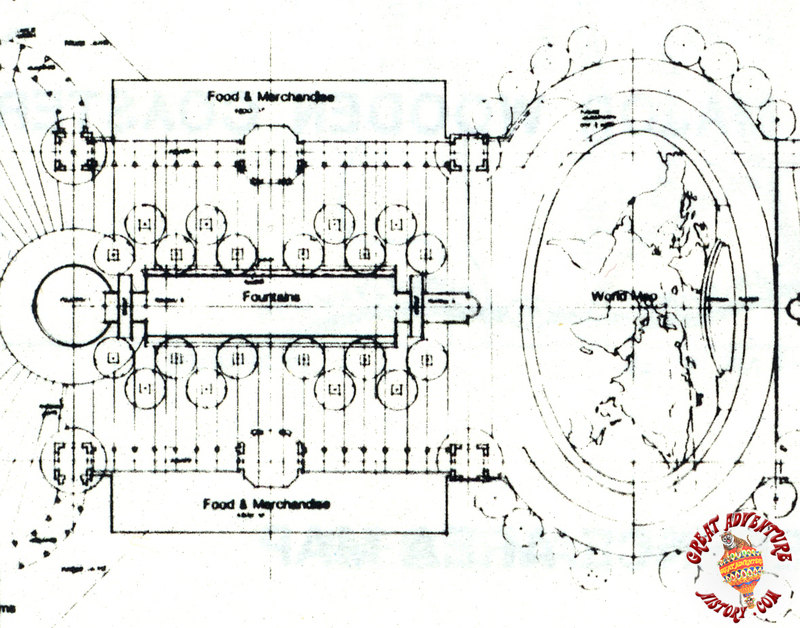 In an effort to revamp the park's public image, a new and modern entrance plaza was proposed which would have expanded the food and merchandise offerings, pushing the ticket booths and gates further towards the parking area as part of the makeover. The plan would have completely transformed the entrance area beyond recognition. 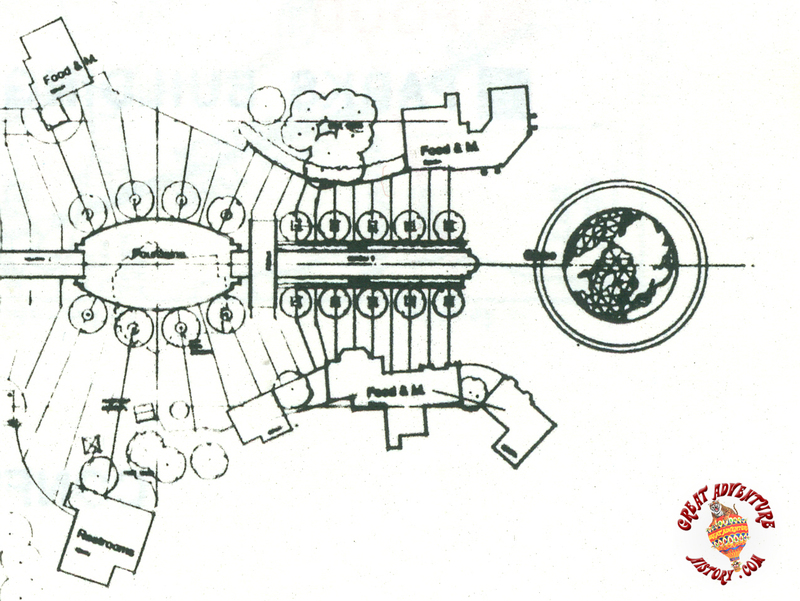 At the far end of the existing Outer Mall area, a new queuing plaza would have lead from the parking area to the new ticket booths. The new structure was to have been configured in a similar fashion to the existing booths. 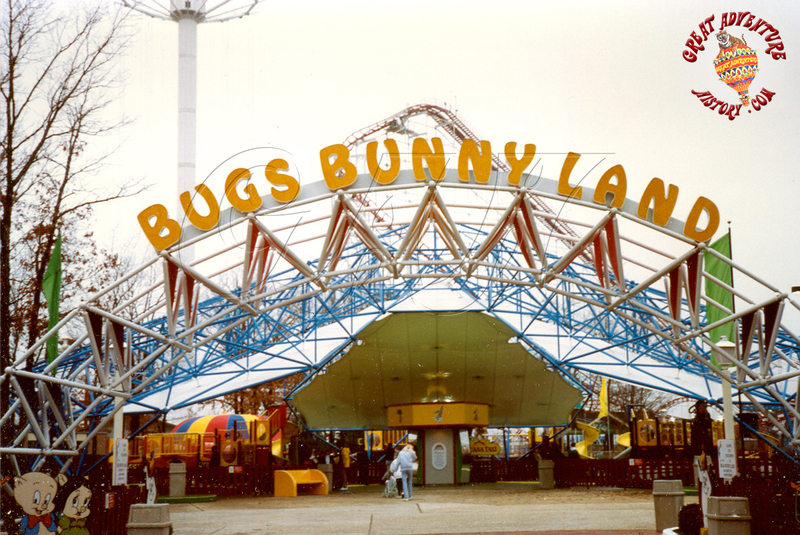 The design included an entrance arch which would have been a similar design to the Bugs Bunny Land arch which was added in the 1988 season. 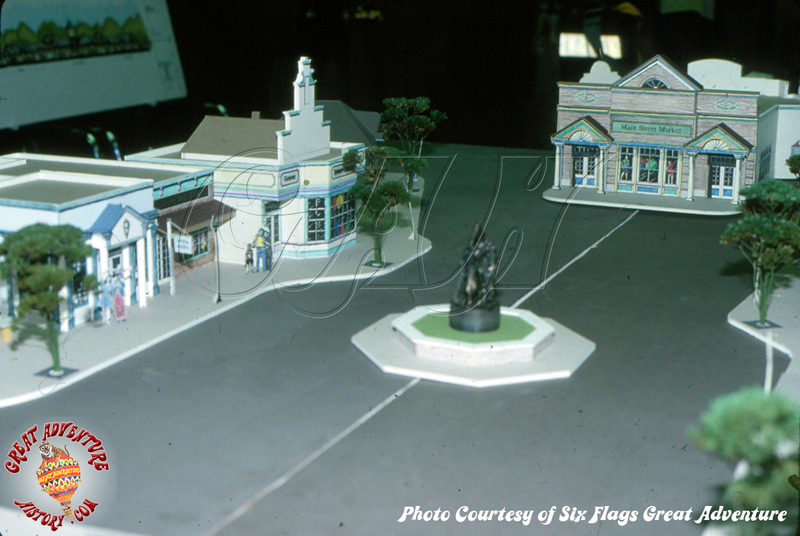 The rendering of the plaza included six flags front and center. 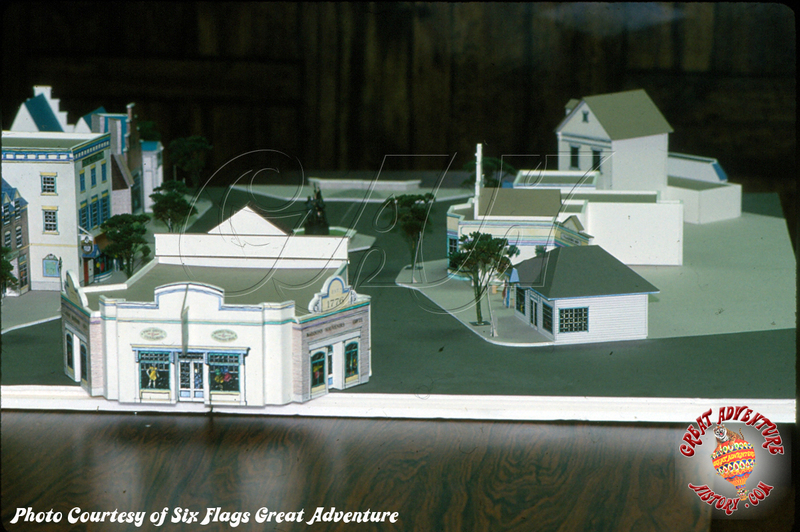 This would most likely have tied in with the full makeover of the park which was at one point even had a proposed name change, playing up the Six Flags brand name. 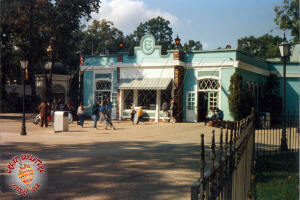 The new entrance turnstiles would have been a single arc of gates. The new gates would have included metal detectors as part of the enhanced security measures in the park. 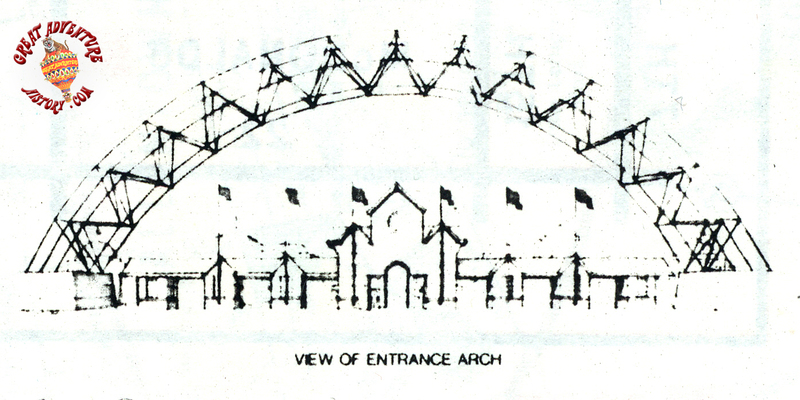 Like the existing gate, Guest Relations and Security would have been located on the left side of the gate and a restroom facility on the right. Once past the gates, guests would see a fountain that would have occupied the area currently occupied by the large planter holding the flagpole in the Outer Mall, though much larger in size. 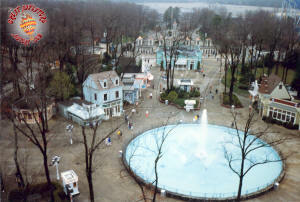 The large and elaborate fountain was to occupy the center of the plaza, leading into the park. At the far end of the fountain a plaza was to have been created on the site of the existing ticket booths featuring a huge world map on the pavement. 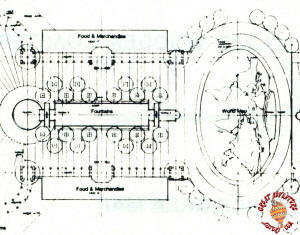 Flanking the sides of the entrance plaza, plans included twin structures which would house new shops and restaurants. 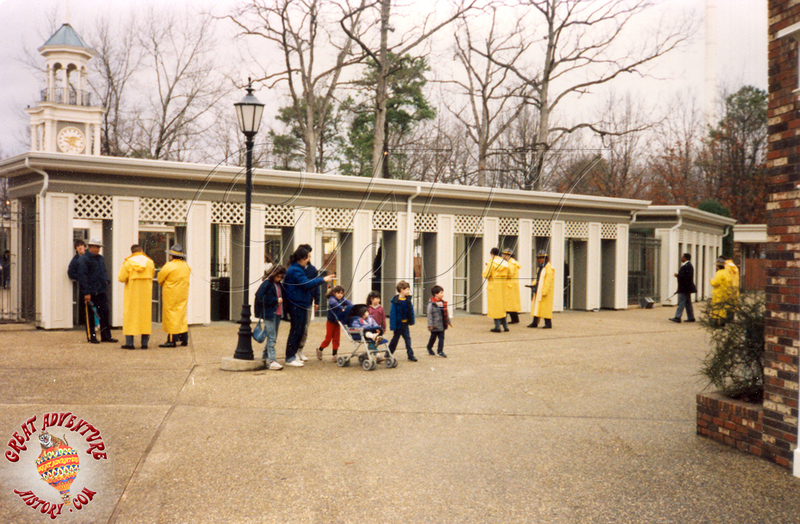 The new buildings were to include covered walkways along the facades offering an escape from the hot sun or the rain, much like the covered walkways lining the games area. 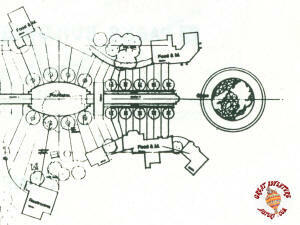 The Inner Mall was to have had a makeover as well, but utilizing the existing structures. 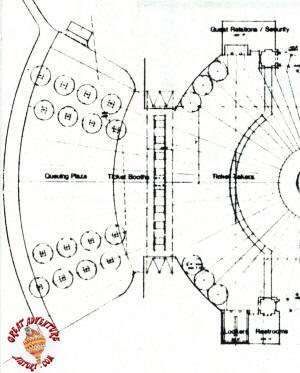 The Emporium would have been removed along with the planter on the edge of the Fountain area, creating room for additional fountains leading to the center of the park. 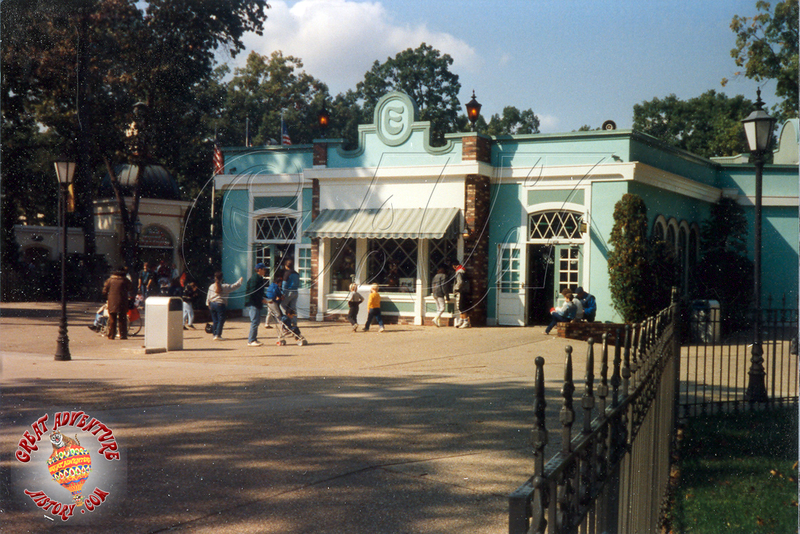 The existing Guest Relations building was slated for conversion into an additional food/merchandise location with the restrooms on the opposite side of the former gate remaining in place. 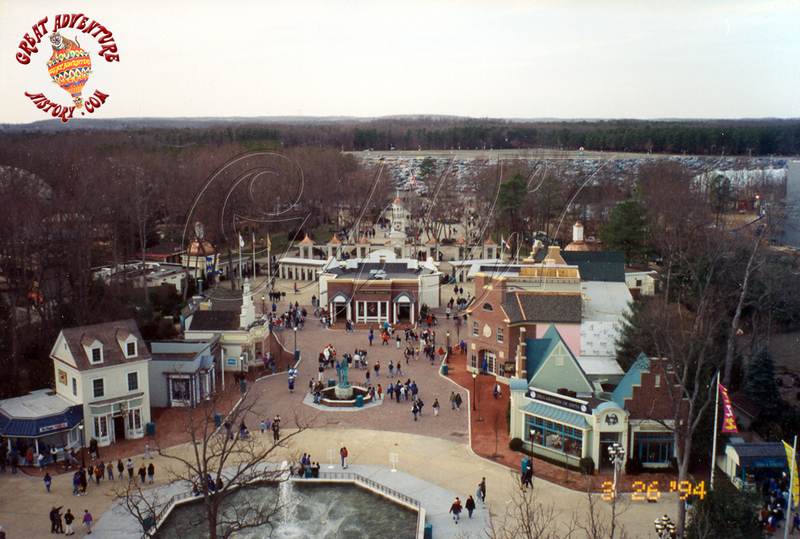 Perhaps the most notable feature is the replacement of the Fountain with a large globe structure, much like the New York Worlds Fair Unisphere. 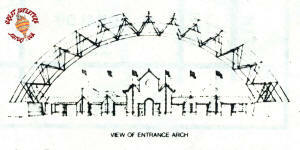 The actual gate structures had just replaced in 1988. 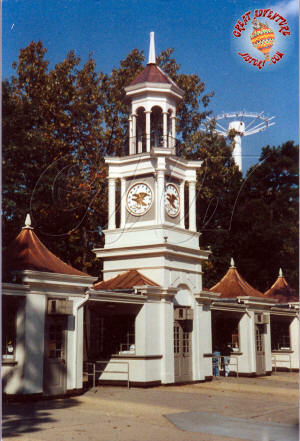 The original small structures were replaced with three larger ones, which were expanded to include the new metal detectors. Several years later, with the park under Time Warner ownership, updated theme elements were introduced all around the park. 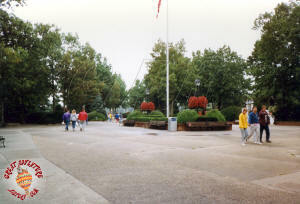 The entrance plaza was finally updated and expanded, but on a smaller scale. With the addition of the Looney Tunes Shoppe and the added colonial theme elements, Main Street was created.